Trading Multiples are a type of financial metrics used in the valuation of a company. When valuing a company, everyone relies on the most popular method of valuation, i.e. Discounted Cash Flow (DCF)Discounted Cash Flow DCF FormulaThe discounted cash flow DCF formula is the sum of the cash flow in each period divided by one plus the discount rate raised to the power of the period #. This article breaks down the DCF formula into simple terms with examples and a video of the calculation. The formula is used to determine the value of a business, but it becomes imperative for buyers and bankers to look how the market perceives a particular stock in the same industry with a similar type of assets and the markets. For this reason, “Trading Multiples” are considered and the relative valuation is calculated. Trading multiples are used to understand how similar companies are valued by the stock marketEquity Capital Market (ECM)The equity capital market consists of the primary and secondary market where stocks are traded. This market includes dealer and OTC markets. The equity capital market is a subset of the broader capital market, where financial institutions and companies interact to trade financial instruments and raise equity capital as a multiple of Revenue, EBITDA, Earnings Per Share, EBIT, etc. The basic premise of making a comparison is that they assume that the stock markets are efficient. Trading multiples are also called “Peer Group Analysis”, “Public Market Multiples” and “Comparable Company AnalysisComparable Company AnalysisHow to perform Comparable Company Analysis. This guide shows you step-by-step how to build comparable company analysis ("Comps"), includes a free template and many examples. Comps is a relative valuation methodology that looks at ratios of similar public companies and uses them to derive the value of another business“. To find the “Valuation of a Telecom Company in Europe,” the trading multiples of British Telecom, Vodafone, France Telecom, Telefonica, and similar companies should be seen as they represent a similar business mix and business modelTrading MultiplesTrading Multiples are a type of financial metrics used in the valuation of a company. When valuing a company, everyone relies on the most popular method of. How to identify Comparable Companies? To find out comparable and similar companies to the one that is being valued, the parameters below needs to be obtained. One of the fastest ways to consider few companies is to look at the competitors of the target. 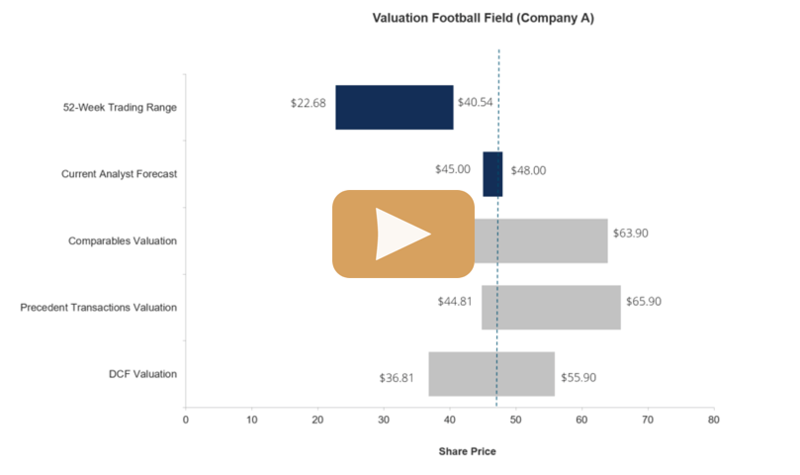 EV / RevenueEnterprise Value (EV) to Revenue MultipleThe Enterprise Value (EV) to Revenue multiple is a valuation metric used to value a business by dividing its enterprise value (equity plus debt minus cash) by its annual revenue. The EV to Revenue multiple is commonly used for – This is one of the most popular multiples used across industries as it is difficult to manipulate revenue figures. This multiple becomes relevant especially when a company has negative EBITDA, as the multiple EV / EBITDA will not be relevant. Start-up companies on the internet and e-commerce sector will generally have negative EBITDA in their initial years. Having said that, EV / Revenue is a poor measure as two companies with the same revenue can have a large difference in their operations, which reflects in their EBITDA. EV / Revenue is in the range of 1.0x to 3.0x. EV / EBITDAEV/EBITDAEV/EBITDA is used in valuation to compare the value of similar businesses by evaluating their Enterprise Value (EV) to EBITDA multiple relative to an average. In this guide, we will break down the EV/EBTIDA multiple into its various components, and walk you through how to calculate it step by step – This is one of the most commonly used multiples and it acts as a proxy for free cash flows. EV / EBITDA is often in the range of 6.0x to 15.0x. EV / EBIT EV/EBIT RatioThe enterprise value to earnings before interest and taxes (EV/EBIT) ratio is a metric used to determine if a stock is priced too high or too low in– EBIT is derived after adjustment of depreciation and amortization as it reflects real expenses and considers wear and tear of a firm’s assets. In case of non-capital intensive companies such as consulting or technology companies, EBITDA and EBIT are somewhat close and hence multiples like EV / EBITDA and EV / EBIT are similar. Since EBIT is less than EBITDA, the multiple is higher and is in the range of 10.0x to 20.0x. EV / Capital Employed – This is not one of the popular ways to calculate multiples, but is still used by capital-intensive companies. The invested capital determines potential earnings, however, it doesn’t consider differences in profitability. P / EPrice Earnings RatioThe Price Earnings Ratio (P/E Ratio) is the relationship between a company’s stock price and earnings per share. It gives investors a better sense of the value of a company. The P/E shows the expectations of the market and is the price you must pay per unit of current (or future) earnings – This valuation metric takes into consideration the price in numerator and earnings per share in the denominator. P/E multiple is similar to equity value to net income, wherein it is divided by fully diluted shares. This multiple ranges from 12.0x to 30.0x. PEG Ratio PEG RatioPEG Ratio is the P/E ratio of a company divided by the forecasted Growth in earnings (hence "PEG"). It is useful for adjusting high growth companies. The ratio adjusts the traditional P/E ratio by taking into account the growth rate in earnings per share that are expected in the future. Examples, and guide to PEG– It is simply the P/E ratio divided by the EPS growth rate and is often in the range of 0.5x to 3.5x. The best part of this method is it considers the growth prospects of the company while capturing its growth rate. A company in the growth stage will have more value than a company that has reached the maturity stage. Learn more in our guide to performing Comparable Company AnalysisComparable Company AnalysisHow to perform Comparable Company Analysis. This guide shows you step-by-step how to build comparable company analysis ("Comps"), includes a free template and many examples. Comps is a relative valuation methodology that looks at ratios of similar public companies and uses them to derive the value of another business or our guide to M&A Precedent TransactionsPrecedent Transaction AnalysisPrecedent transaction analysis is a method of company valuation where past M&A transactions are used to value a comparable business today. Commonly referred to as “precedents”, this method of valuation is used to value an entire business as part of a merger/acquisition commonly prepared by analysts. Total Enterprise ValueEnterprise ValueEnterprise Value, or Firm Value, is the entire value of a firm equal to its equity value, plus net debt, plus any minority interest, used in valuation. It looks at the entire market value rather than just the equity value, so all ownership interests and asset claims from both debt and equity are included.